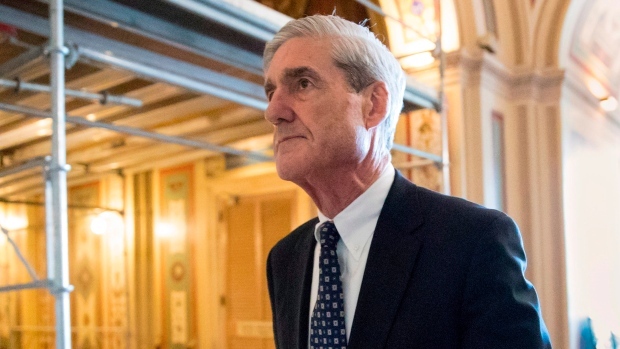 When the smoke from the midterm election clears, one thing is certain: You will be seeing the name of Robert Mueller a lot more than you have for the past two months, no matter whether the Democrats manage to take the U.S. House or not. For one thing, Mueller has kept himself and his investigation into Donald Trump’s campaign deliberately out of the headlines by observing the Justice Department custom of not issuing indictments connected to politics in the 60 days leading up to the election. With the election over, Mueller will be back into action. His team will likely have more indictments to make. Mueller will also have to decide how to communicate the information he has gathered to Congress. Last week, a federal judge ordered the release of a 1974 grand jury report that was part of special prosecutor Leon Jaworski’s report to Congress about President Richard Nixon. The document could have lessons for Mueller. Of course, Mueller’s investigation has worked quietly and methodically so far, and we don’t know how quickly he might act after the election — only that he is free to do so. If the Democrats win Congress, they will be able to initiate extensive oversight investigations into areas of Trump’s career and possible ties with Russia. That would certainly overlap with Mueller’s work, and add a further element of overt partisanship to the saga of the special counsel’s investigation and Trump’s efforts to discredit or end it. Mueller’s evidence would be at the center of any impeachment effort. His investigation, cleverly farmed out to the U.S. Attorney’s Office for the Southern District of New York, already got Trump’s former attorney Michael Cohen to testify under oath in open court that the president directed him to commit an election law felony. That would be a significant piece of any impeachment effort. Mueller’s findings still need to be pinned down more precisely around the question of Trump campaign coordination with Russia, the very issue with which the investigation began. With respect to the firing of FBI Director James Comey, it seems highly unlikely that there will be any more concrete information than what the public already knows. There’s ample evidence for the Democrats to claim that Trump obstructed justice, but there’s also room for Trump and his Republican defenders to say that the president had no corrupt intent when he fired Comey. Therefore, Mueller’s findings on the Russia connection will be hugely consequential. The investigation has already uncovered compelling evidence that Russian intelligence operatives were involved in hacking the Democratic National Committee during the election. If Trump’s campaign was knowingly involved, then the whole setup begins to look much more like Watergate, in which Republican-hired operatives broke into the Democratic National Committee offices. The key question would then become, as it was in Watergate, what the president knew and when he knew it. The possibility of a coverup would loom large. More information about such a potential coverup could change public perception of the Comey firing. The strongest potential connection of which we are now aware is Stone. Recently released email indicates that he told officials in the Trump campaign about upcoming WikiLeaks leaks before they were made public. Because the Russians were the ultimate source of the emails released by WikiLeaks, that brings the chain between Russia and the Trump campaign one link closer to being established. To be sure, the chain is not complete, much less solid. All this leads inexorably to the question of how Mueller should communicate with Congress. The newly released Watergate grand jury report is a spare, indeed laconic, document that simply lists presidential statements and refers to evidence that might show the statements to be false. It was more a road map for congressional investigation than a detailed report and recommendation of the kind prepared by independent prosecutor Kenneth Starr for what became the Bill Clinton impeachment. At the Lawfare blog, my Harvard Law colleague Jack Goldsmith and Lawfare editor in chief Benjamin Wittes praise the Jaworski report and suggest that its objective, non-interpretive tone would be suitable for Mueller, in part because it would help preserve some sort of objectivity. I’m skeptical of whether a similar effort would have any effect in the contemporary political environment. Trump has already claimed that Mueller and his team are entirely partisan. He’s not going to change his tune if Mueller presents a report with no narrative or interpretation attached. What Mueller should do is provide a detailed account of the facts his team has found and possible interpretations, both inculpatory and exculpatory. Without some explanation and interpretation, the facts may simply be too complex for Congress and the public to follow. And Mueller should submit the identical document to a Republican House (if that’s what we get) as he would to a Democratic House that might impeach. One could even argue that Mueller and his report will be more important if the Republicans control the House — because the report will then be the sole official governmental source on just what the president knew and did.